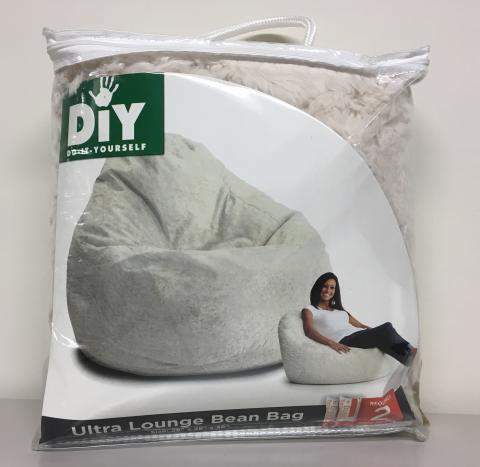 Comfort Research recalls Ultra Lounge bean bag chair covers due to the zippers on the bean bag chair covers can be opened by children who can then crawl inside, become entrapped, suffocate or choke on the bean bag chair's foam beads. Consumers can contact Comfort Research toll-free at 844-578-8933 from 9 a.m. to 5 p.m. ET Monday through Friday or online at www.comfortresearch.com and click on the Safety Recall Notices link for more information. Description: This recall involves Comfort Research's Ultra Lounge bean bag chair covers. The natural polyester Sherpa, teardrop-shape bean bag chair cover measures 28 inches by 28 inches by 36 inches and has two zippers on the exterior. The covers were sold without foam bead filling in a DIY package. 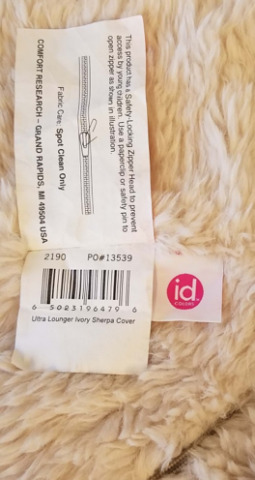 The covers have three sewn-in tags. One tag reads “id COLORS” on the front and “RN48711” on the back. The second tag has the UPC label code “PO#12991” or “PO#13539” on the front. And, the third tag has the care and use instructions printed on one side and the warning notice on the other. Sold at Kroger, Meijer and Shopko from April 2017 through August 2017 for between $30 and $40.